I mentioned in my recent review of the new Rico Reserve clarinet mouthpieces that Robert Polan, Rico Product Manager, was shipping me a few additional samples for comparison. 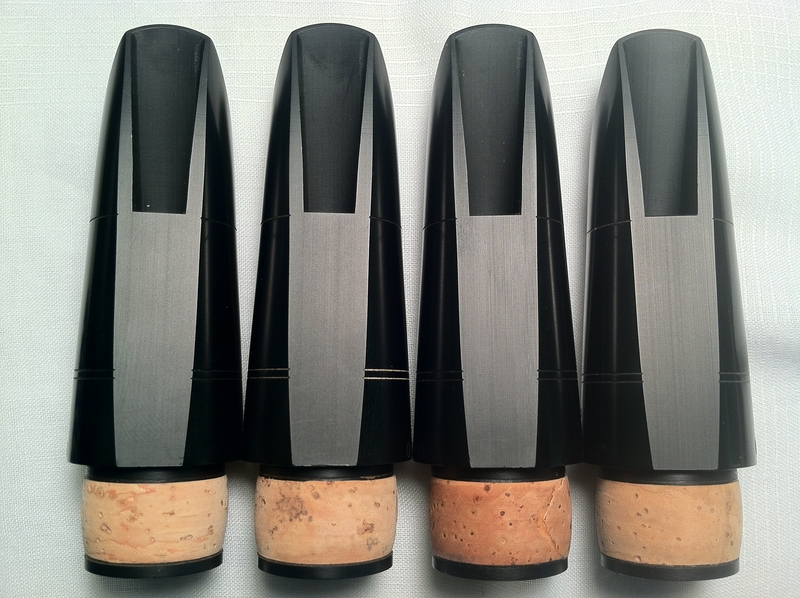 I received three X5 mouthpieces this week, and I have been inspecting and playing them side-by-side with each other and with the one X5 from the original shipment. As far as visual inspection, I think the best thing I can do is show you a photo of the tables. You can click for the high-resolution version (warning: it is large and may download slowly). Check out the tips and rails especially. I’m certain that I have never seen a mouthpiece in this price class with this level of consistency. With the mouthpieces I’m accustomed to using, I would expect at least two out of four to have immediately-obvious asymmetry in the tips, and at least two to have rails of obviously different widths. The Reserves are visually much, much more symmetrical and even. If you look very closely at the high-resolution image of the Reserves, you can probably pick out a few imperfections—but it does require looking very closely. 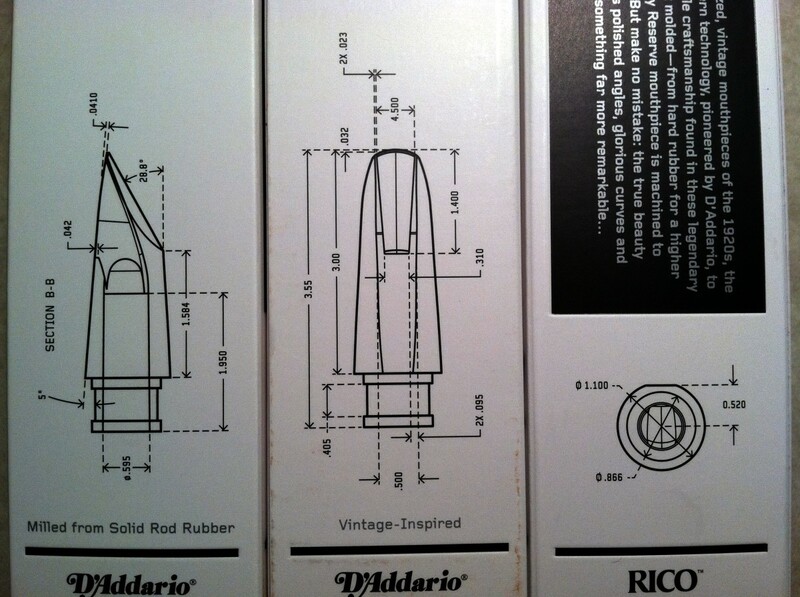 My sense is that Rico’s claims about precision and consistency are justified, at least so far as is relevant for relatively inexpensive mass-produced mouthpieces. Do they play identically to each other? Not 100%, but probably at least 95%. Of the four, there are two that I find to be virtually interchangeable in terms of tone, and a third that feels just barely purer in tone (or less rich, if you prefer). The fourth feels like it has a slight brightness (or presence or “sparkle,” if you like) that sets it slightly apart from the others, but only slightly. I say that these mouthpieces “feel” purer or whatever because I wasn’t able to capture the differences convincingly on a recording, and I suspect that beyond the clarinetist’s personal space even another clarinetist would be hard-pressed to tell one mouthpiece from another. (I do think the differences might cause the clarinetist to play a little differently, and that might be audible.) And the differences between the mouthpieces are, to me, less noticeable than, say, the difference between my two best performance reeds. Response (more important than tone in mouthpiece selection) is all but indistinguishable between all four mouthpieces. I could easily keep all four in my case, pull one out blindfolded, and perform on it without any worries about response or control. Any one of these four (six, really, counting the X0 and X10 from the original review) is at least as good as, and perhaps better than, the best cherry-picked examples of other mouthpieces in the same price class. I can also use reeds interchangeably between all four mouthpieces without any issues. I usually recommend using different reeds for different mouthpieces (even of the same model), as the reeds tend to take on a slight imprint of the mouthpiece’s window, which can cause leakiness if the reed is used on a mouthpiece with a window of even slightly different dimensions. No significant concerns about that here. My conclusion about these mouthpieces is that some clarinetists may find (as I did) that the Reserve is a better mouthpiece than others in its class; allowing for differences in taste, some may legitimately prefer to stick with what they’ve got. 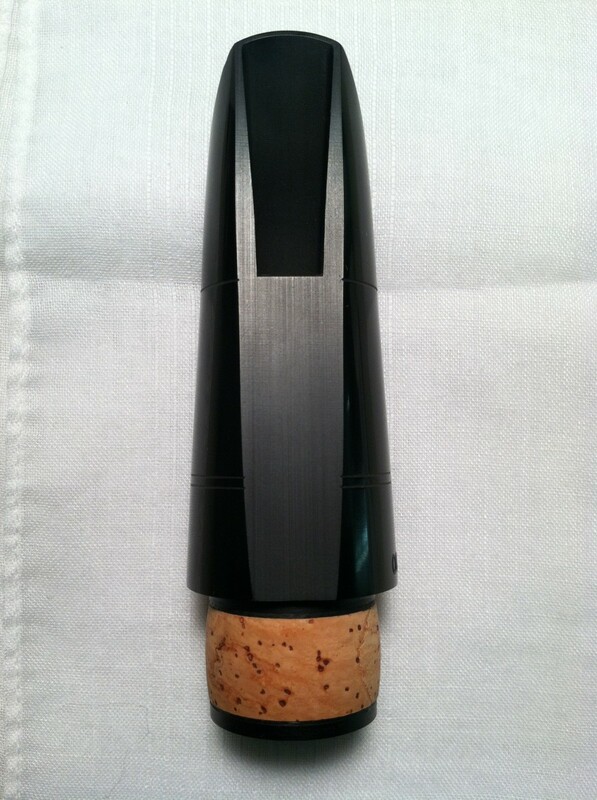 But the killer feature of the Reserve mouthpiece is its replaceability. With the Reserve series, I can get a fine mouthpiece without having to sift through a pile of them to find “the one.” If I break it, I can essentially grab the next one to roll off the production line and expect it to be very, very similar. I can recommend it to my students knowing that theirs will play like mine does. 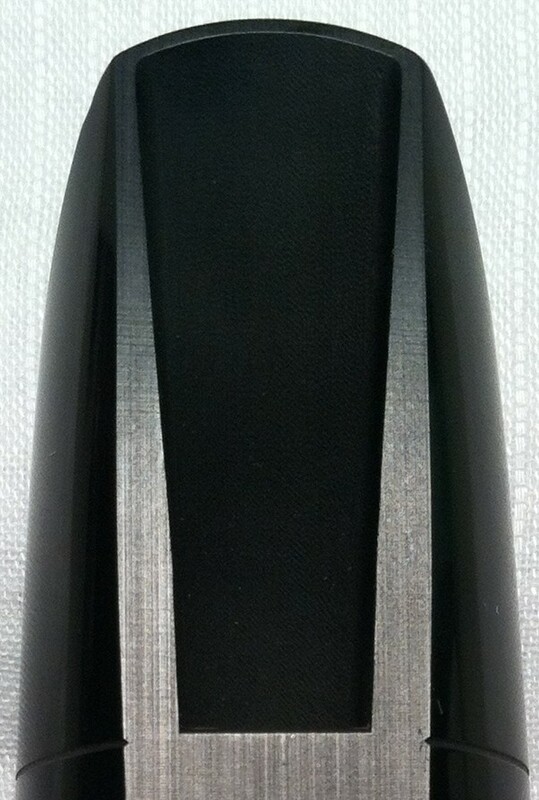 Those factors, to me, are what make these mouthpieces a really exciting development. I’ve previously attempted jogging routines, trips to the campus gym’s weight room, calisthenics programs, and various other workouts. All have fizzled out fairly quickly. Recently I had settled into a daily walk, which was easy and pleasant but wasn’t improving my fitness in any noticeable way. I decided this year to take advantage of a summer fitness class being offered for free on campus. It was my first time committing to doing anything like that, but the price was right and the time commitment seemed do-able. Accountability is a big motivator. I knew the fitness instructor and my classmates would be expecting me every day, and that was enough to get me out of bed and into the gym for a full hour. Likewise, I need accountability in my practicing. For years I had teachers’ expectations to meet, but now I am accountable to myself. One thing that has worked well for me this summer is regularly-scheduled informal recording sessions, where I listen back to my playing, evaluate the results of my efforts, and write down some comments for myself. Progress doesn’t always look like what you want it to. After my summer workouts, I still don’t have six-pack abs or a four-minute mile, but my pants are fitting a little loose, and my endurance is way, way up. Similarly, in the practice room, my summer’s efforts haven’t brought my recital repertoire to blazing tempi and groundbreaking interpretation, but I have shored up some fundamentals and made headway on some new techniques. Variety is good. The fitness class was a “boot camp”-style regimen, with lots of short intervals of high-intensity (for me) exercise. It’s very similar to a strategy I use when practicing: pick a problem spot, and give it 10 minutes of hyper-focused effort. After 10 minutes, move on. It’s amazing how much gets done in a few hours’ worth of ten-minute chunks, and I enjoy it much more than long sessions working on the same problem. Don’t fight your equipment. I bought new shoes partway through the summer, and the next day’s class was agony on my legs. I got some advice and bought some drugstore insoles that supported my feet differently, and the following class was 100% better. Same thing goes for my instruments and reeds: if something isn’t working efficiently, I’m unhappy and ineffective (and possibly even injured). Make sure your instruments are the best quality you can reasonably afford, and that they are kept in excellent repair and adjustment. The fitness instructor was fond of saying, “If it doesn’t challenge you, it doesn’t change you.” (The phrase seems to get credited a lot to Fred DeVito.) It’s easy to fall into patterns of “practicing” what I can already do, rather than tackling something that will push me to a new level. Progress feeds motivation. I found that sweating through a few weeks of exercise and seeing some improvement really boosted my enthusiasm for exercise. (To my own surprise, I’m even hoping to fit in another exercise class during the semester.) I recall as a freshman music major really struggling with getting my practicing done at first. But as it started to pay off, I got excited about what I was accomplishing, and it snowballed into more and better practicing. Go put in some hours in the practice room—and in the gym, too! I was pleased to hear from a representative of Rico about their new “Reserve” clarinet mouthpieces, which they seem to be promoting very heavily and which are generating some buzz (no pun intended) among curious clarinetists. She was kind enough to send me a few to check out for myself and to review here, and to put me in touch with Robert Polan, Rico Product Manager, who answered some of my questions during the process. Since the product is so new, it’s too early to know which additional models clarinetists will want. We are carefully evaluating the response to these three models in order to determine what is next. The boxes’ design includes some faux-technical-drawings of the mouthpieces—which I initially thought was a cool touch, showing the precise dimensions of the mouthpieces—but the drawings are actually identical on the different models’ boxes, so they are probably mostly decorative. Adding a serial number was an important feature for us. We are planning to offer online tools and future promotions for Reserve mouthpiece owners who register their mouthpieces on a soon-to-be released “Owners Area” on our website. Again, more to come on this in the coming months. The mouthpiece is also bedazzled with a painted-on dullish-silver “R” logo on top, which I expect will wear off quickly; I think it would be a classier (and more permanent) touch to etch the logo. I am pleased to see the other identifying information etched into the mouthpiece; my old Vandoren mouthpieces get difficult to tell apart once the painted model numbers wear off. The Reserves also have the usual latitudinal lines which can be used to gauge ligature position. Using the CNC technology to fully machine the Reserve mouthpiece allows us to control consistency to a very high level, resulting in greater repeatability than with hand-finishing. This is especially true with high volume production. One of the smartest operations experts I know once put it to me this way: “When you ask a human being to perform a task repeatedly, he or she will get it right on average about 80% of the time.” While a mouthpiece craftsman like Lee Livengood can no doubt produce results that rival our machines, finishing hundreds of mouthpieces a day would make maintaining repeatability challenging for even the most skilled hand-finisher. 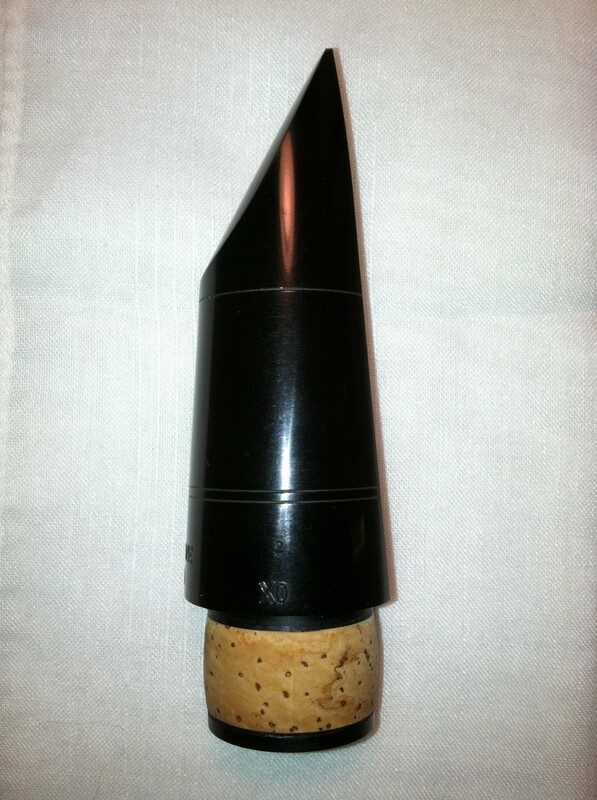 Considering that many competitors’ mouthpieces in the Reserve price range are finished by factory workers, most of whom do not even play clarinet, the attention to detail with the finishing steps is not the same as it is with someone like Lee Livengood, nor does it come close to matching the consistency we achieve with the Reserve mouthpiece. Regarding the question about our machining tolerances, we are indeed holding tolerances as tight as .0005” in areas of the mouthpiece that require that precision. We do not claim to hold .0005” with every dimension; that would be both costly and unnecessary. But we are holding to that tolerance where it counts. Ultimately the player will judge any claims about tolerances and quality. 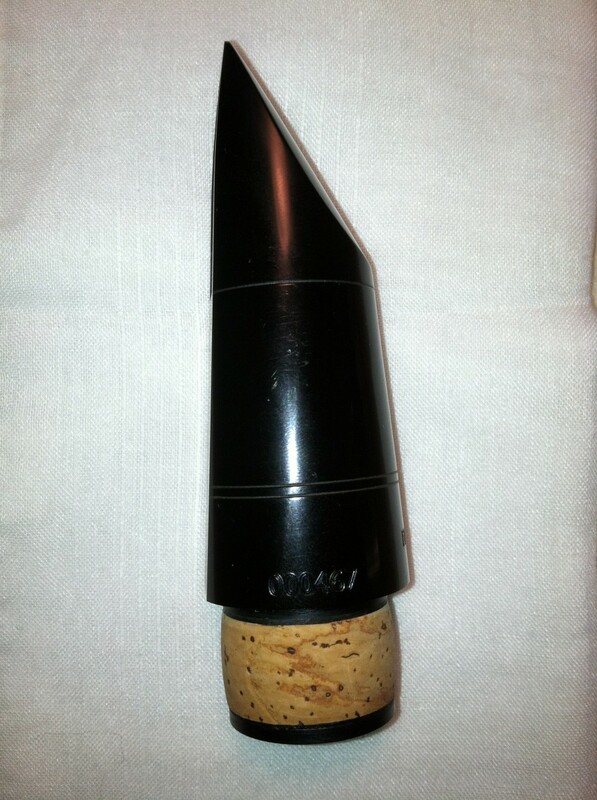 We did our homework with the Reserve mouthpiece and we are confident it stands up to the most discerning players. It’s fair to point out that I don’t really have a concept of what kind of tolerances are necessary for mouthpiece making, but, on close visual inspection, the precision of these mouthpieces does indeed appear very impressive. The rails and tips appear to my eye to be very, very symmetrical and even. This is something that I definitely haven’t seen in mass-produced mouthpieces before. Held in the right light, the tables reveal some visual evidence of the tooling process: some subtle lengthwise lines. However, the tables feel glassy-smooth to the touch. We don’t claim that every mouthpiece we make is identical; offering identical measurements is impossible. We do, however, feel confident that there is a noticeable similarity between every mouthpiece we make, thanks to the control in our process. As Richie Hawley put it when we had him test our consistency, the Reserve mouthpiece has a “comfortable and predictable similarity” from one to another. I’ve ranted about this previously, but since we are heading into a new school year, I thought it might be worth covering again and in more detail. Some beginning band programs kick off the year by allowing prospective students to “try out” the various instruments, ostensibly to determine which instrument they have the most natural aptitude for. I find this ludicrous. Firstly, no one is born knowing how to play the flute or the trombone or the snare drum. And physiological factors are only important at the most basic level: if a student isn’t strong enough to manage the weight of a tuba, then perhaps the euphonium would be a better starting point for this year, and if she can’t comfortably stretch her fingers far enough to reach all the baritone saxophone’s keys, tenor or alto might be a good alternative. Beyond that, and barring significant physical deformities or significant learning disabilities, any student is physically and mentally capable of playing any instrument he or she wishes. If your child’s future band director is examining your child’s lips or fingers and opining about which instrument he or she is destined to play, they are wasting the time of everyone involved. Secondly, the first few minutes that a child (or adult) spends with an unfamiliar musical instrument can turn out very differently depending on a large number of factors. When your child spends two minutes trying out a flute and two minutes trying out a trumpet, and is pronounced a budding trumpet virtuoso, is it really because of some genetic predisposition to the trumpet? Or is it that the flute had leaky pads? Or that the band director’s explanation of the flute embouchure wasn’t clear enough? Or that your child accidentally leaned on one of the flute’s trill keys, and the band director failed to spot it? Did your child do better at bassoon than oboe because the bassoon reed was well-balanced and vibrant, while the oboe reed was stuffy and insufficiently soaked? My point is that there are too many potential issues to sort out in a few minutes (perhaps even a few hours—or years), and judging aptitude at that stage is no better than guesswork. I recently met a fellow woodwind player, and the conversation inevitably turned to gear. We had each recently tried out an instrument by a relatively new maker. My new acquaintance found it not to his liking. “I’m a _____ snob,” he proudly explained, naming a very popular and well-established instrument maker. I also recently read a woodwind-related message board thread (why do I torture myself?) in which some discussion was taking place about an accessories maker who had recently branched out into a new venture. A commenter scoffed at the new product and at the maker in general, indicating his disinclination even to sample any of their (generally well-regarded) products. He offered no explanation for his strong and seemingly arbitrary opinion. Your gear choices are your own. But if you find yourself clinging to brand names, and defending those choices with something besides objective comparisons, then you might be missing out.